Cape Town - One of the major problems that came with the postponement of the T20 Global League this year was that it left a massive hole in the South African cricket calendar. The tournament, South Africa's big-money answer to India's IPL and Australia's Big Bash, was due to get underway on November 3 this year. Money had been spent, players had been signed and it looked like all systems go, but then CSA took a late decision to postpone the tournament until November 2018 as fears over its financial sustainability escalated following the departure of CEO Haroon Lorgat. The CSA board decided that it was best to pull the plug, and while that may have saved them financially in the long-run, it left a gaping hole in the South African cricket calendar over the festive season. 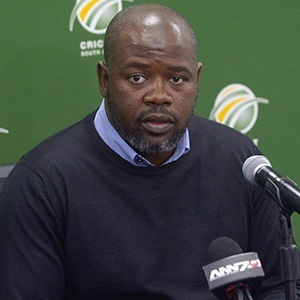 CSA general manager Corrie van Zyl has been tasked with finding a solution to that problem and he has been looking for ways to ensure that there is quality cricket played in South Africa during the holiday period. It now looks a done deal that the planned domestic T20 competition, known as the T20 Challenge, which was originally moved to April to accommodate the launch of the Global League, will be brought forward. Sport24 understands that the proposed rescheduled T20 Challenge fixtures are currently sitting with the six domestic franchise CEOs, who need to sign off on the changes. While that tournament has its own financial concerns - it has not had a title sponsor since RAM pulled out a couple of seasons ago - it will at least have the star attraction of the country's best players, who were committed to the Global League, being available to play. CSA is hopeful that it can secure a title sponsor for the competition, while an announcement on the tournament being brought forward is expected by the end of the weekend.